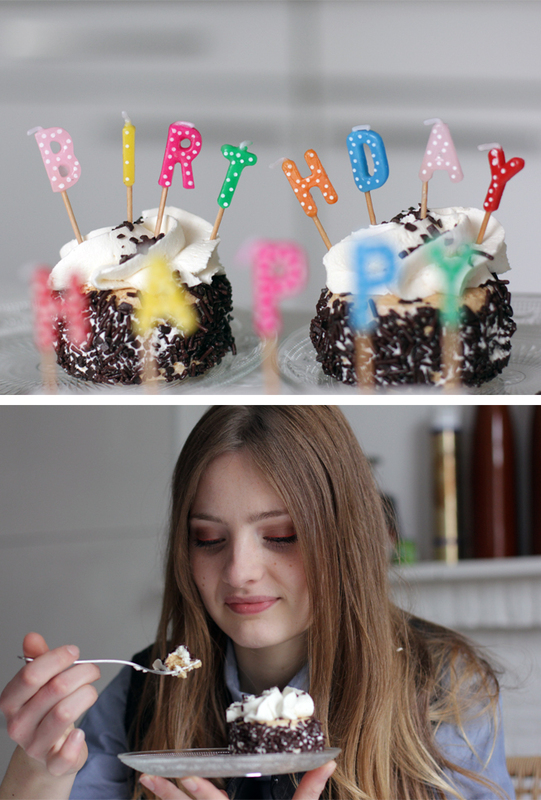 Exactly 1 year, 2 fashionable seasons, 12 months, 105 Facebook likes, 111 outfit posts, 230 Bloglovin' followers, 351 posts, 4081 comments and 30446 unique visitors. Exactly one year ago I decided to demand a little space in the big online world and created my own blog. When I started I had no idea if I would like blogging just as much as reading blogs. It turned out to be a great experience and I still enjoy it every day. There are always days that I'm not really feeling like posting something because I don't know what to post. But that happens quite rarely and that's just because I want to post stuff that you guys like to read. So feel free to tell me what you do and don't like or what you would like to see more often. I really appreciate all your comments and questions, without you Heritage Mode wouldn't be what it is today! So a big thank you to all my dear readers and I hope we will continue this journey together! Of course I bought myself a birthday cake to celebrate and I also shot some outfit photos with my special birthday make-up: orange neon eyeliner. So thank you again for all the love and support! Gefeliciteerd met je éénjarig bestaan. Je hebt al veel bereikt in zo'n jaar zeg :) Op naar jaar 2. Liefs! Gefeliciteerd met je blogverjaardag! 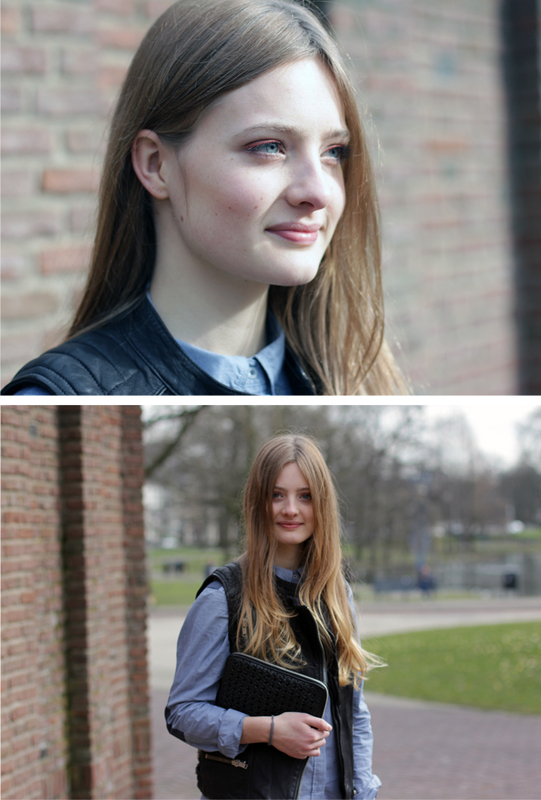 Die neon eyeliner staat je super goed! Love your look!!! Happy BDay Heritage Mode! De eyeliner is helemaal niet zo heftig als je zou denken! Leuk. Nog gefeliciteerd! 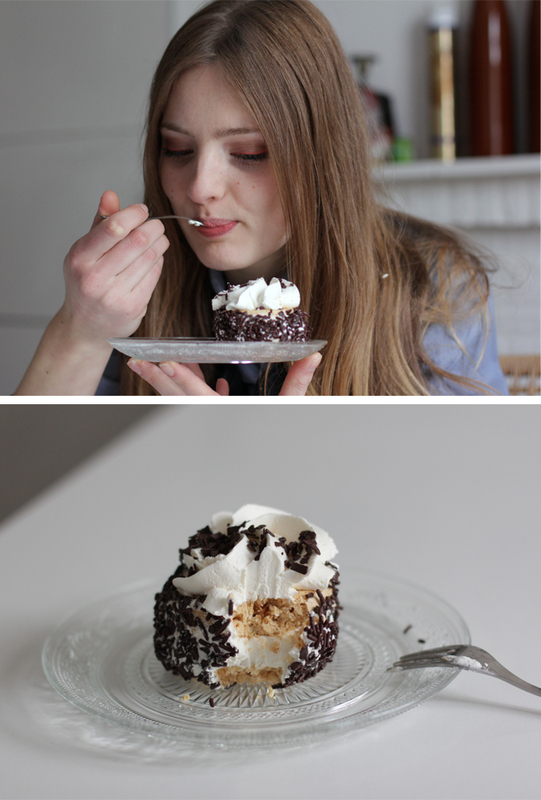 Je blog is tegelijk jarig met het Oreo Koekje haha. En we hebben dezelfde glazen bordjes zie ik! I really like yours! I love how you post both about your personal style & outfit and about the trends inspiring you ♥ Plus you're so pretty! I love your hair !! I'll follow you on bloglovin! can't wait for your new posts!